Tic Tac Trance #045 Replay available! 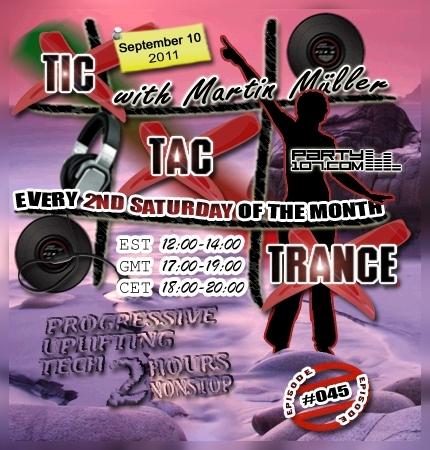 My current favorite tunes in progressive, uplifting and tech trance will be revealed in episode #045 of Tic Tac Trance on September 10, 2011! You can expect a nonstop 2 hours mix which includes mixes and remixes of artists like Super8 & Tab, Menno de Jong, Sean Tyas, Ferry Tayle and many many more! Don’t forget to tune in!